The scene of battle now shifts to the frozen North, where the Russians are courting fresh disaster in the treacherous region of the Mazurian Lakes in East Prussia. Early in February, a small Russian Army in command of General Sievers had rashly invaded East Prussia from the North. As usual, the Germans proceeded to envelop and trap this army. 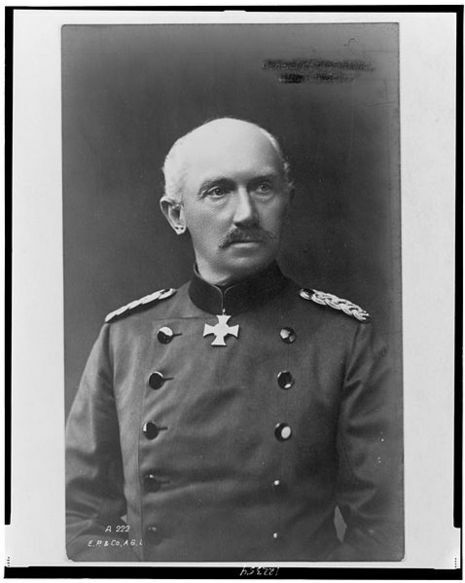 General Eichhorn, in command of the German forces, was instructed to draw the Russians on until they had got themselves in a position where it would be easily possible to flank them. The Germans, accordingly, fell back upon strongly fortified positions behind the Mazurian Lakes and the line of Angerapp River. The Russians heroically charged these positions, the Third Siberian Corps wading up to their shoulders in icy water in a vain attempt to cross the Nietlitz Swamp, in the face of the enemy's fire. 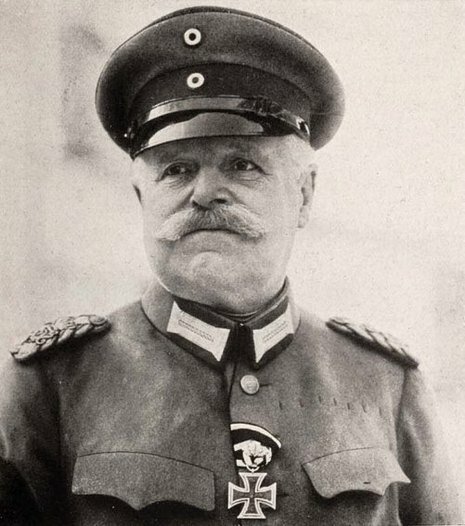 Von Hinderberg, who was personally observing the battle, now summoned von Below's army from the Courland front, farther north and began an enveloping movement around both flanks of the Russian Army. A heavy snowstorm set in, February 5, 1915, and the deep drifts rendered motor traffic difficult. The Germans had prepared for this contingency, having thousands of sleighs and tens of thousands of sleigh-runners ready for the rapid transport of their guns and wagons. The Russians, on the contrary, were unable to move most of their big guns. With great rapidity, the Germans moved to the attack. The Southern column, under General Falck, struck the Russians at Kolna, and the Northern column fell upon the other wing on a line reaching almost to the Russian border. The Russian left wing began its retreat in a blinding snowstorm, and was driven relentlessly by the Germans, leaving behind 40,000 prisoners. On February 10, 1915, the snow still falling heavily, the Russians made a stand at Eydtkuhnen. At midnight the Germans launched a surprise attack and drove the Russians from village to village, until on February 15, 1915, this wing was forced back across the Russian frontier. The Russian right wing, meanwhile, had been flanked near Kovno, taking refuge in the Forest of Augustowa and abandoning most of its vehicles. Men and horses sank to their waists in the snow. No food was procurable, as the field kitchens could not follow the armies. With the snow falling heavily, an icy gale blowing, and shelter denied them, the plight of the soldiers in both armies was pitiful. Many thousands of Russians were taken prisoners and other thousands slain. Meanwhile, the Russian left wing had been pressed back to Lyck, where a furious battle was fought on February 12, 1915, under the eyes of the German Emperor. Three days later the remnant of this army found its way back on Russian soil. The Germans claim to have annihilated General Sievers' army, taking 100,000 prisoners in all the battles of the Mazurian Lakes. The Russian figures are not available. But it was a great disaster to Russian armies without a question. World War I (abbreviated as WW-I, WWI, or WW1), also known as the First World War, the Great War, the World War (prior to the outbreak of the Second World War), and the War to End All Wars, was a global military conflict which involved most of the world's great powers, assembled in two opposing alliances: the Allies of World War I centred around the Triple Entente and the Central Powers, centred around the Triple Alliance. More than 70 million military personnel, including 60 million Europeans, were mobilized in one of the largest wars in history. More than 15 million people were killed, making it one of the deadliest conflicts in history.